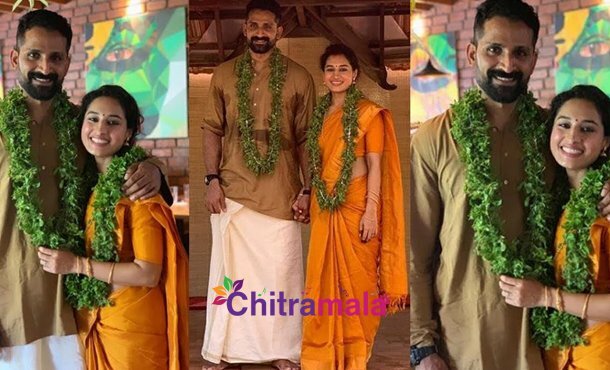 Telugu Bigg Boss – Season 2 contestant Pooja Ramachandran has entered marriage life for the second time, marrying her longtime boyfriend John Kokken. She took up her Instagram handle and shared wedding moments. She posted “My Vishu couldn’t have been a happier one this year. I married my best friend!#sealedthedeal #surreal #magical #lifeisbestsimple #15/04/19 completely in love with you @highonkokken”. Her co-contestants Tejaswini Madivada, Geetha Madhuri have congratulated her. Been working in the industry for the past 10 years, she was widely noticed for her role in Nikhil’s ‘Swamy Ra Ra’. Her husband John Kokken is also an artist and have been part of many films of Kannada language. He was recently seen in the ‘KGF: Chapter 1′, while Pooja Ramachandran was last seen in Nani’s Krishnarjuna Yuddham’ and have signed a Telugu feature.